Baxter Brewing Co. has harbored big ambitions since it opened in 2011, when it burst onto the scene as the sixth-largest brewery in the state. In 2016, those ambitions took a step back as the company reported its first annual drop in production, going down 11.5 percent overall but still maintaining its spot as the third-largest brewery in the state. Lesson learned, says Baxter marketing manager Adrienne Nichols. While Baxter’s in-state sales rose in 2016, Nichols said Baxter struggled out of state. “The farther you get from your home base, the harder it is to sell. That is a struggle for us,” Nichols said. The problem was acute in Massachusetts, where Baxter rolled out distribution but didn’t have a sales rep to help push the beer to draft lines and retail shops. 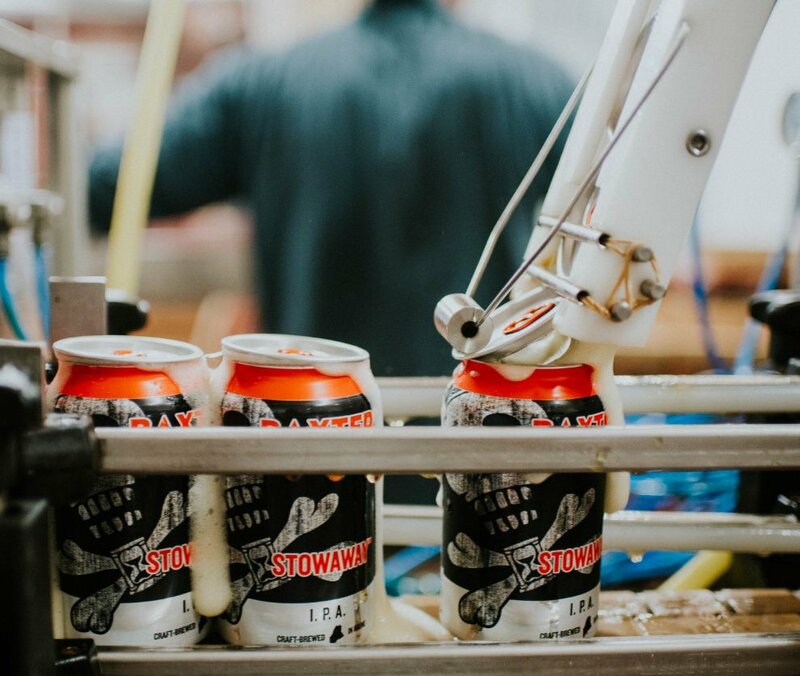 The company has added staff in Massachusetts and other states as a new reality sets in on the beer industry: Consumers want local beer. Very local. Baxter ordered up a study of its consumers, Nichols said. Baxter learned where its fans are drinking the beer, which ones they favored and what they liked to do while drinking it. Then the company tailored campaigns to make sure it was reaching those consumers. And the company added a new director of brewing operations, Andrew Sheffield, who worked for two of the largest craft breweries in the country – Oskar Blues and New Belgium, both based in Colorado. Baxter also doubled its sales team, Nichols said, because simply making beer and putting it into a can isn’t good enough anymore. Especially not outside of Maine.